On 23rd April at the United Nations in New York, the second Development Cooperation Forum Special Policy Dialogue will examine the role of private philanthropic organisations in international development cooperation. Part of its focus on key innovations in the sector is venture philanthropy, the growing trend of adopting principles and methods from the corporate sector. 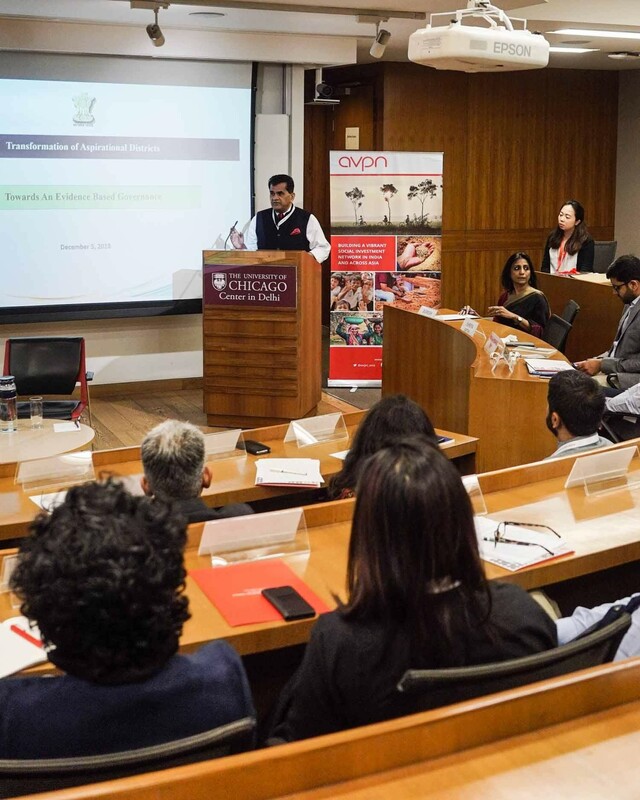 A number of WINGS members and network participants are pioneers of the burgeoning field, including the Asian Venture Philanthropy Network (AVPN) whose inaugural Annual Conference is slated for next month. Meanwhile, the European Venture Philanthropy (VP) and Social Investment (SI) sector continues to evolve. 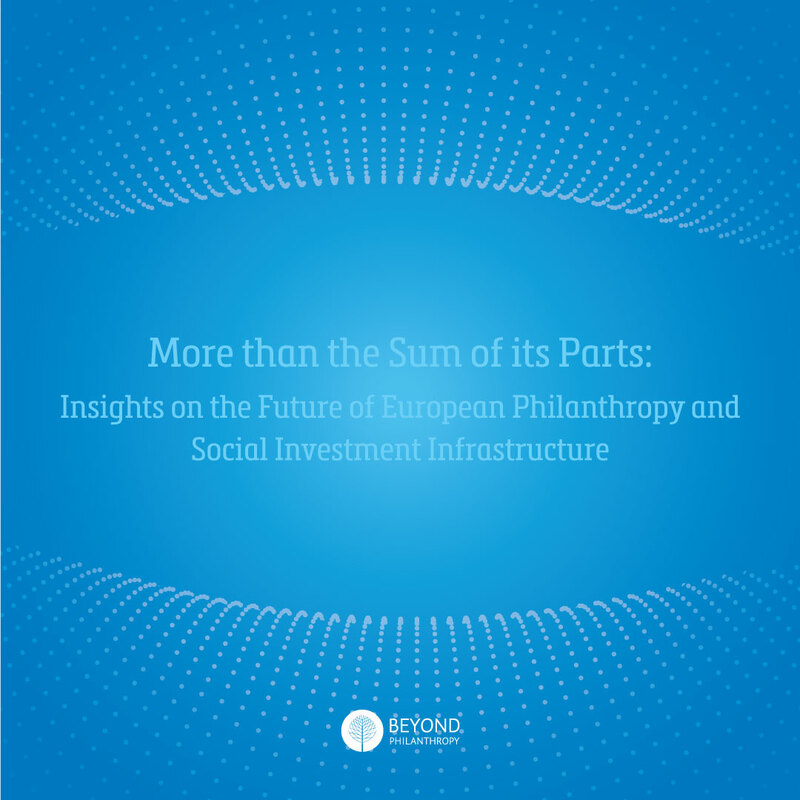 A new report published by the European Venture Philanthropy Association (EVPA), provides key statistics and raises awareness so as to attract further resources for the sector. WINGS Managing Editor Chris de la Torre met with Ruth Jones, Executive Director of Social Venture Partners (SVP) and WINGS board member, to recap her involvement with AVPN and talk briefly about what makes SVP different. WINGS: How do you define venture philanthropy and how does it fit into the broader philanthropic and social investment communities in asia, and what progress is being made on these fronts in that region? 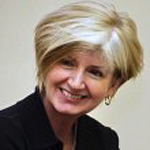 Ruth Jones: I would say that we’ve got a new definition these days of philanthropy. Philanthropy is grant dollars, so it’s financial capital. It’s programmatic capital coming from the nonprofits that are coming up with innovative solutions to social problems. And we would say that human capital is also a crucial ingredient. It’s like a three-legged stool; philanthropy with the most impact is going to combine financial, human, and program capital. It [Roadshow 2012] was a fascinating experience. There was tremendous interest. There must have been 60 or more people in each city that engaged in conversations with us about venture philanthropy in their communities. And it was enormously encouraging to see the variety of people and organisations that we met along the way: family foundations, corporate social responsibility divisions of major companies, individuals, people from the private equity and venture capital sector, nonprofit leaders, social entrepreneurs and social innovators—a wonderful mix at every destination. WINGS: With regard to practitioners and supporters sharing best practices, what is the best case scenario you’ve seen in your travels, both in Asia and elsewhere, and what might make the “best case” better? RJ: Good philanthropy doesn’t exist in a vacuum. It exists when people are sharing experiences (what worked, what didn’t), hearing good ideas—adapting and adopting them. I’m obviously a great fan of organisations like AVPN because it provides the platform in which practitioners from a whole range of entities can come together to learn. You could say that an organisation like AVPN is a learning lab—a learning community. I found that in each city where we came together with members of AVPN and local philanthropy participants that it felt very much like that to me—a community where we could share experiences and learn from each other. WINGS: Curating is probably a word best left to art, but is what you’re doing with venture philanthropy in any way similar? RJ: It’s creating a community where there are thinkers, practitioners, leaders. What you need is to provide a place where all the players come together—the people providing the money, providing the ideas, people who can evaluate those ideas, people who can say ‘listen I’m the client group and this did not work, for these reasons’. Some people would say it’s curating a community, I would say it’s bringing together the people who have a stake in this. WINGS: One of those people is Shaks Ghosh from the Private Equity Foundation, a fellow speaker in the road show. How do you complement each other? RJ: I’ll let Shaks speak for herself, but I think that we are alike in that each of us regards human capital as absolutely essential to philanthropy that is going to have an impact. Dollars alone are not sufficient. Both of our organisations believe that bringing human capital—strategic, thoughtful experienced people who are ready to coach, mentor, advise, offer strategic consultancy services—is crucial to enabling a nonprofit organisation to fulfill its mission to its highest potential. Where we differ is that SVP is in 30 cities and most of our giving and strategic human capital support to nonprofits is delivered to local nonprofits, whereas the Private Equity Foundation supports a small number of charities with much larger grants. So very different in terms of the number of organisations they work with and the sum of money involved. Our grants are quite small—25 to 50K—we are never the major grantmaker in an organisation. We are generally the largest supplier of strategic volunteering or strategic philanthropy support. The SVP network is currently working with about 160 organisations across those 30 cities. The Private Equity Foundation is working very intensively with six charities, so you see the difference in the model. WINGS: You’ve mentioned that you find it stimulating to hear about different approaches in Asia and that there’s a lot going on there. What challenges do you see in Asia, and what can you say about the different audiences that now exist there? RJ: I have to be clear that I do not have a significant background in philanthropy in Asia. I was there because SVP has particular expertise in marrying financial capital and human capital and finding nonprofits, and that’s been our recipe. SVP is an intermediary organisation that brings together people with skills and experience and matches them with nonprofits that are making a difference. 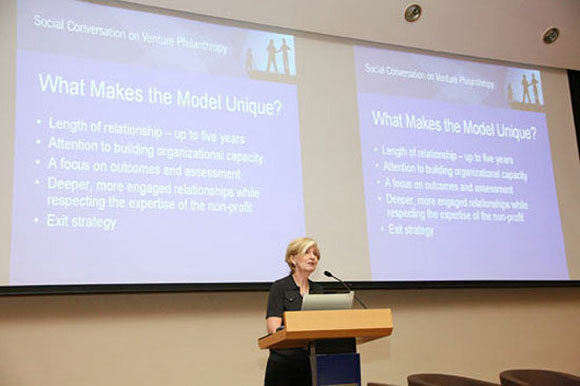 So that’s why I was there, because SVP is a practitioner of a certain brand of venture philanthropy. But for me, I was learning about who are the participants in Asia. I heard a lot of interest in the role of social enterprise in Asia, and the role of impact investing. People were looking for ways in which venture philanthropy could incorporate human capital and use it effectively. There are some premises of venture capital. You stay with an organisation for the long term. You build its internal capacity so that the organisation is strong, stable, high-functioning. You work with the organisation to develop appropriate evaluation tools so that you’re able to gauge the impact that the organisation is having. You invest in the organisation so that long term it can have the most effect. 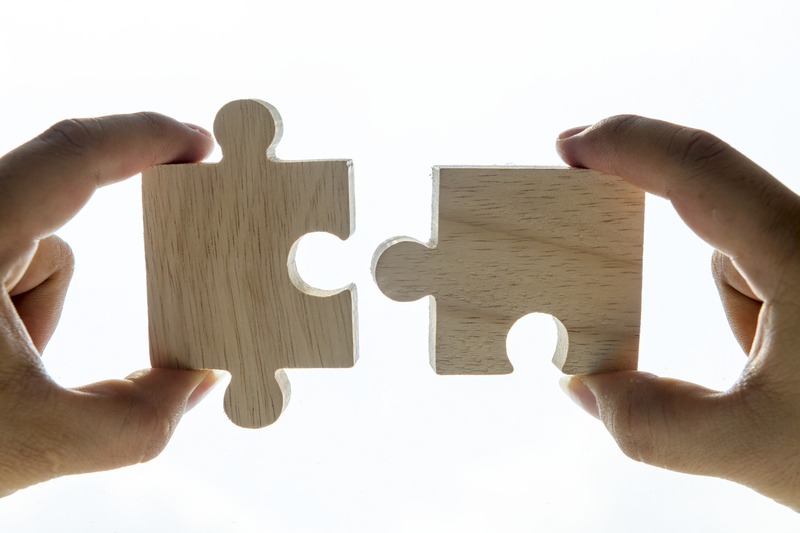 Those are the staples of venture philanthropy. To really build the internal capacity of an organisation, so that it can really deliver in its program area you’ve really got to look at its mission, vision and planning, program design and make sure that it has great evaluation processes in place, its HR planning, senior management and team leadership, information technology, financial management, fund development, board leadership, legal affairs, marketing communications and external relations. These are all factors that have to be considered and invested in. WINGS: Anything to add about the inaugural AVPN Annual Conference in May? RJ: The Chairperson of Social Venture Partners International, Lance Fors, will be there. I know he’s looking forward to it. 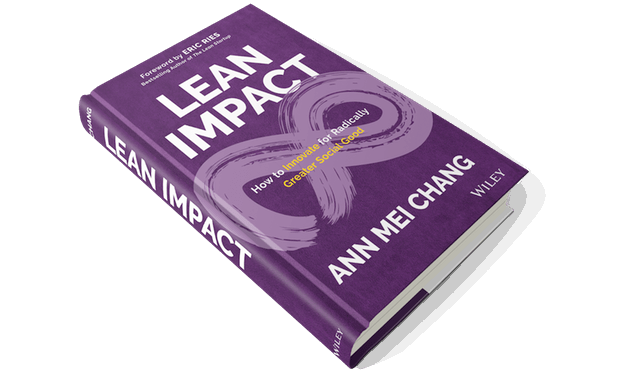 It’s going to be a time and place where people who are deeply committed to venture philanthropy in Asia can come together, and I believe it will be a huge learning opportunity.